Are you looking for a more effective web presence? 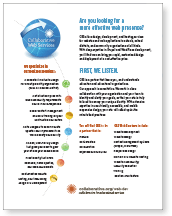 CES offers design, development, and hosting services for websites and web applications to schools, school districts, and community organizations of all kinds. With deep expertise in Drupal and Wordpress development, you’ll find we can bring you rapid, customized design and deployment at a cost effective price. We work in close collaboration with your organization and your team to identify and clarify your goals, so that your site is truly tailored to convey your unique identity. With extensive expertise in user friendly, accessible, and mobile responsive design; your site will reflect up-to-the minute best practices. 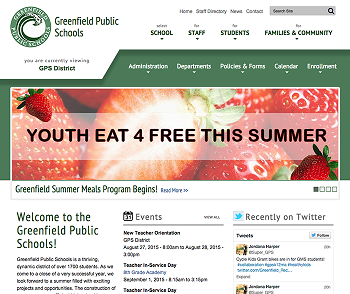 Greenfield Public School district wanted a multi-site design that was easy to navigate, attractive, and accessible to students, families, community and staff; included expanded calendar features; and integrated social media. Learn more. 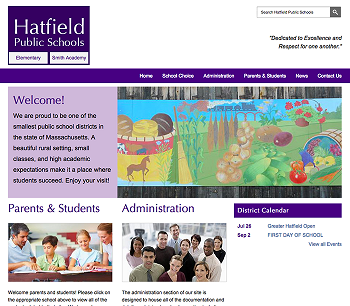 Hatfield’s existing site was vulnerable to security threats, and looked out-of-date. Visitors had a hard time finding teachers and other school personnel on the site, and school personnel had a hard time updating content and photos. Learn more. "I appreciated working with someone who is a really good listener. He heard what we wanted, and went off and built it; and was able to accommodate our learning curve along the way."